Draft: 2014, Detroit Tigers, 8th rd. Resides in Davie, FL during the offseason...Played college baseball at the University of Virginia and went 8-1 with one save and a 1.31 ERA (68.2IP/10ER) in 16 games, including nine as a starter during his senior year in 2014...helped the Cavaliers to the College World Series that season, throwing 23.1 innings without allowing an earned run in the NCAA Tournament...Participated in the Tigers Winter Caravan and TigerFest ...Recommended/signed by Bill Buck for the Tigers. Combined to pitch in 29 games, including 26 as a starter, between Double A Erie, Triple A Toledo and Detroit in 2017...Had 14 wins between Erie and Toledo, which ranked tied for seventh among all Minor League pitchers...Allowed two earned runs-or-less in seven straight starts from May 9-June 14...went 3-1 with a 2.03 ERA (40.0IP/9ER) and 32 strikeouts during the streak...Tabbed the International League Pitcher of the Week for the week ending August 27 after going 2-0 with a 0.68 ERA (13.1IP/1ER) and 15 strikeouts in two starts during the week... Named the Tigers Minor League Pitcher of the Month for August after posting a 5-0 record with a 2.03 ERA (31.0IP/7ER) and 33 strikeouts in five starts with Toledo...Made his Major League debut on September 4 vs. Kansas City and threw 5.0 innings...struck out Alex Gordon in the second inning for his first Major League strikeout. 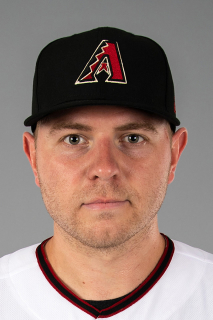 November 20, 2018 Arizona Diamondbacks sent RHP Artie Lewicki outright to Reno Aces. October 24, 2018 Arizona Diamondbacks claimed RHP Artie Lewicki off waivers from Detroit Tigers. September 9, 2018 Detroit Tigers transferred RHP Artie Lewicki from the 10-day disabled list to the 60-day disabled list. Right elbow inflammation. August 15, 2018 Detroit Tigers placed RHP Artie Lewicki on the 10-day disabled list retroactive to August 14, 2018. Right elbow inflammation. August 8, 2018 Detroit Tigers recalled RHP Artie Lewicki from Toledo Mud Hens. July 8, 2018 Detroit Tigers optioned RHP Artie Lewicki to Toledo Mud Hens. June 23, 2018 Detroit Tigers recalled Artie Lewicki from Toledo Mud Hens. June 16, 2018 Detroit Tigers optioned RHP Artie Lewicki to Toledo Mud Hens. May 16, 2018 Detroit Tigers recalled Artie Lewicki from Toledo Mud Hens. April 26, 2018 Detroit Tigers optioned RHP Artie Lewicki to Toledo Mud Hens. April 25, 2018 Detroit Tigers recalled Artie Lewicki from Toledo Mud Hens. March 9, 2018 Detroit Tigers optioned RHP Artie Lewicki to Toledo Mud Hens. September 3, 2017 Detroit Tigers selected the contract of Artie Lewicki from Toledo Mud Hens. August 4, 2017 RHP Artie Lewicki assigned to Toledo Mud Hens from Erie SeaWolves. February 23, 2017 RHP Artie Lewicki assigned to Detroit Tigers. July 1, 2016 RHP Artie Lewicki assigned to Erie SeaWolves from Lakeland Flying Tigers. June 21, 2016 Lakeland Flying Tigers placed RHP Artie Lewicki on the 7-day disabled list retroactive to June 20, 2016. June 8, 2016 Lakeland Flying Tigers activated RHP Artie Lewicki from the 7-day disabled list. April 22, 2016 Lakeland Flying Tigers placed RHP Artie Lewicki on the 7-day disabled list. April 2, 2016 RHP Artie Lewicki assigned to Lakeland Flying Tigers from West Michigan Whitecaps. February 29, 2016 RHP Artie Lewicki assigned to Detroit Tigers. June 9, 2015 West Michigan Whitecaps activated RHP Artie Lewicki from the 7-day disabled list. April 13, 2015 West Michigan Whitecaps placed RHP Artie Lewicki on the 7-day disabled list. March 12, 2015 RHP Artie Lewicki assigned to Detroit Tigers. September 18, 2014 West Michigan Whitecaps activated RHP Artie Lewicki from the 7-day disabled list. July 19, 2014 RHP Artie Lewicki assigned to West Michigan Whitecaps from GCL Tigers. July 9, 2014 RHP Artie Lewicki assigned to GCL Tigers. July 8, 2014 Detroit Tigers signed RHP Artie Lewicki.